It’s no secret that Dreft is the #1 laundry detergent for babies and the #1 choice for pediatricians. 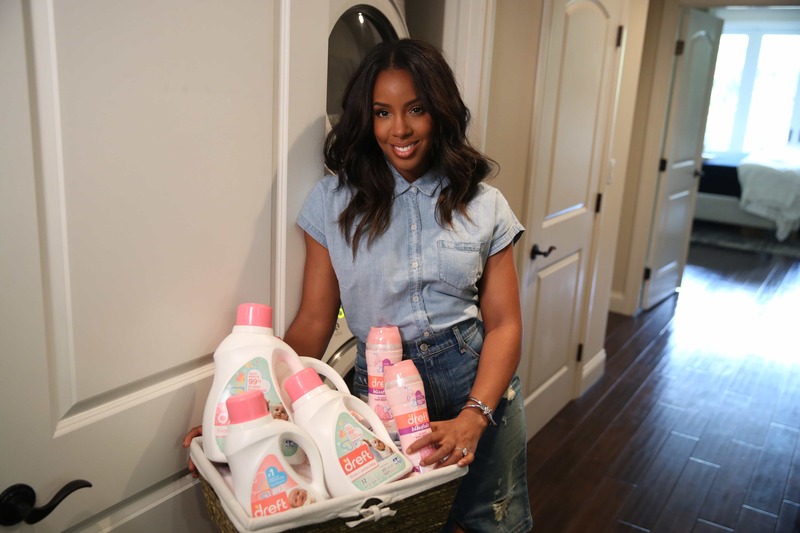 Singer, songwriter and new mama, Kelly Rowland, partnered with Dreft for their Amazinghood campaign to launch their new expanded product line that matches every life stage for a baby. Read on to find out more and to see the epic moment when my baby flirted shamelessly with Kelly. Dreft’s new focus is on every stage of life for the baby, from pregnancy to toddlerhood and beyond. Dreft aims to make it easy to focus on the amazing moments of being a mommy. Kelly’s own 6 month old Titan is featured on a video that Kelly shot with Dreft titled “Journey of Amazinghood” that you can watch here and on Dreft’s social media channels. Dreft Stage 1: Newborn Liquid Detergent: With Dreft Stage 1: Newborn, expectant and new parents can wash their little one’s fabrics with Dreft’s renowned hypoallergenic formula, designed to be tough on stains and gentle on baby’s skin, with the beloved baby scent families have come to know and love from the brand. NEW Dreft Stage 2: Active Baby Liquid Detergent: Specially designed with a growing, developing little one in mind, new Dreft Stage 2: Active Baby helps to remove 99% of baby food stains and other outdoor messes with a gentle, hypoallergenic formula and fresh scent. NEW Dreft Blissfuls in-wash scent boosters: Dreft Blissfuls gives families the baby fresh scent they love. Safe on all fabrics, these scent boosters help bring back that nostalgic, amazing baby scent with every wash. I took my 5 month old to the event and he made himself known from the get go, giggling and smiling with Kelly. To see the full line up from Dreft, click here.